…and this recipe offered the perfect, relatively quick, fix. So you’ve been invited to a brunch, at the home of a new friend, and luckily have been given days to prepare what to bring. And then those days go by, and life happens, and you forget about that amazing dish you planned to make to impress your fellow brunch-goers. Sound familiar? Well, I can tell you, I am all too acquainted with this scenario. I’ll have ideas for said brunch offering, all of which sound great, but then I wait until the last minute and haven’t taken into account the obvious fact of necessary ingredients…that I don’t have. Spoiler alert…I totally pulled this one off. Feverishly scouring cookbooks, the internet, and my pantry, I landed on the Grapefruit Olive Oil Pound Cake from Smitten Kitchen. The ingredients are rather simple, and staples of what I imagine most people’s kitchens hold. I had almost everything I needed, and just the right alternatives to substitute the ones I didn’t. I used oranges in place of grapefruits (which I felt slightly guilty about), whole-wheat flour instead of white, and kefir to take the place of the buttermilk/yogurt. I loved putting this cake together. Each step felt so meticulous and equally as important as the next. Which I guess is an obvious statement, but there was just something about this recipe that sat nicely with me. From rubbing the zest into the sugars to release optimal orange essence, to pouring the syrup over the cake to double the moisture and flavor before sealing it in with the tangy glaze. I’d put this at near perfection. Sorry, sometimes I can’t resist the not-so-humble-brag. What can I say, when I’m proud, I’m proud! I have so many positive takeaways from this endeavor. Mainly that I had always wanted to make an olive oil cake, and now I have. Heat the oven to 350 degrees. Butter and flour a 9-by-5-inch loaf pan. In large bowl, rub the grapefruit zest into the sugars with your fingertips. This will bruise it and help release as much grapefruit essence as possible. Whisk in olive oil until smooth. Add the eggs one at a time, and whisk until combined. Scrape down the bowl. 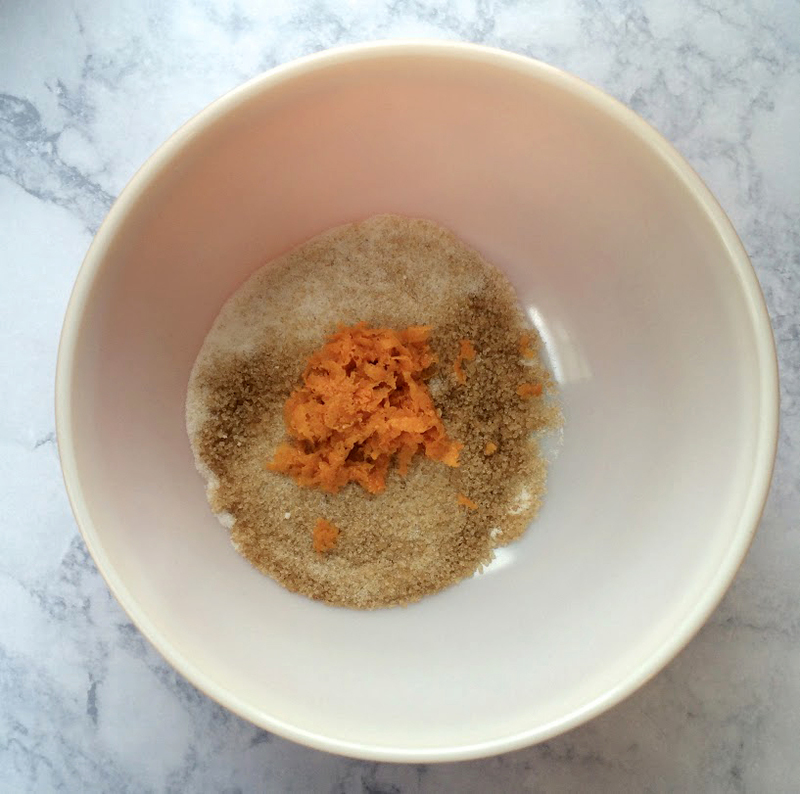 Combine the flour, baking powder, baking soda, and salt in a second bowl. In a liquid measuring cup, combine 2 tablespoons of grapefruit juice and buttermilk. Add the flour and the buttermilk mixtures, alternating between them to the oil-and-sugar mixture, beginning and ending with flour. Spread the batter in pan, smooth the top and rap the pan on the counter a few times to ensure that there are no air bubbles trapped. Bake for 45 minutes to 1 hour, until a cake tester comes out clean. Combine 2 tablespoons of sugar with 1/3 cup grapefruit juice in a small saucepan, and cook over low heat until the sugar dissolves. When cake is finished, let it cool for 10 minutes in the pan before inverting it on to a rack set over a tray. Poke holes in cake with a skewer or toothpick, then spoon or brush the grapefruit syrup over cake. Let the cake cool completely while it absorbs the syrup. Combine the confectioners’ sugar, grapefruit juice, and pinch of salt in a bowl, whisking until smooth. Pour the glaze over the top of cooled cake, and allow glaze to drizzle decoratively down the sides.